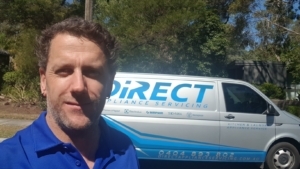 Direct Appliance Servicing is a family business based in the eastern suburbs of Melbourne. 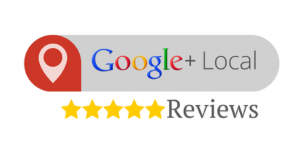 Company owner, Paul Simonson has over 25 years experience in the repair and service of kitchen and laundry appliances for home owners, real estate agents and landlords. Our specialty is Fisher & Paykel appliance repairs. We are factory trained to repair all of their appliances including their electronic fridges, dishdrawers, smart drive washing machines, dryers and all of their other appliances. Trust us to quickly and efficiently diagnose and solve the problem, so your machine can get back to work. We also specialise in dishdrawer installations. These dishwashers are a little more involved to install correctly when compared to standard dishwashers so ensure you have a technician who is familiar with this product. We guarantee to provide our customers with prompt, friendly, experienced and professional service on every service call. Our goal is your total satisfaction, so we ensure all of our oven repairs, dishwasher services, rangehood reconditions and washing machine repairs are of the highest standard. We don’t believe in wasting your time or money, so rely on us to get in, get the job done and get out with the minimum amount of fuss. Life in Melbourne is fast-paced, so we minimise your appliance’s downtime so your schedule is interrupted as little as possible. Company owner and founder Paul Simonson has restored thousands of appliances to working condition and made many, many Melbournians happy. With more than 25 years of experience, you can trust Paul to have seen it all. He can quickly pinpoint a problem and has the equipment and the know-how necessary to have your appliance back up and running again. Our long term relationship with a major retailer allows us to purchase products at very competitive rates. All new appliances are provided with the manufacturers warranty and can be delivered and installed for you. We can also remove and dispose of your old appliance. This service is offered for washing machines, dryers, dishwashers, electric ovens, electric cooktops and rangehoods. If you feel you may need a new appliance be it in Boronia, Templestowe, or Ferntree Gully, please feel free to give us a call on 0404 893 802 to discuss. Alternatively, complete our online contact form and we will respond to you as soon as we can. Whether you’re looking for oven repairs in Ringwood or washing machine repairs in Mitcham, Doncaster or Nunawading, Direct Appliance Servicing is the company to call. We have been providing quality services to the people of Melbourne for over 25 years and we have a proven reputation for reliability. For any of our services, including Fisher & Paykel dishdrawer and dishwasher repairs, call us on 0404 893 802. We are on the road and ready to deliver fast in home appliance repairs for all major brands anywhere in the eastern suburbs of melbourne.